SXSW Interactive, as part of SXSW Create. Austin Convention Center, at 101 Red River Street. 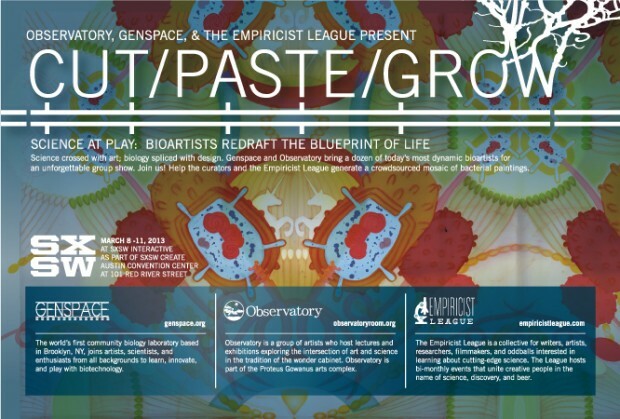 Help Genspace, Observatory, and the Empiricist League create a crowd-sourced living, glowing mosaic of bacterial paintings. Each mosaic tile will be painted on a petri dish with K-12 bacteria. The DNA of this bacteria has been genetically modified to glow green or red under a black light. All the tiles together will create the shape of the ultimate genetic hybrid, the unicorn. 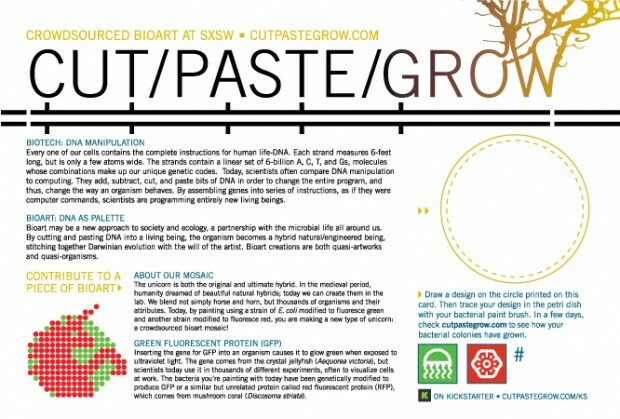 The mosaic will be part of an art exhibit featuring a dozen of today’s most dynamic bioartists in Brooklyn, NY. Each participant will receive a souvenir postcard on which they’ll be able to draw the image that will appear on their mosaic tile. Participants will then trace over their drawing in a petri dish with their bacterial paint brush. After a few days, when the bacterial colonies have grown, the tiles will be assembled under a black light and photographed in a unicorn formation. 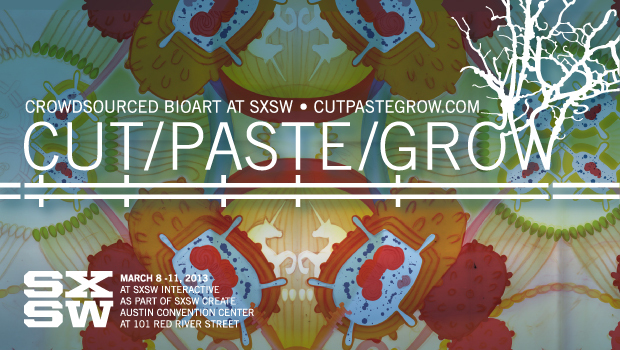 The photograph will be posted on cutpastegrow.com where participants will be able to view their contributions to the mosaic.